This ship is based on a well proven design for the offshore industry, of which more than 50 have been build. 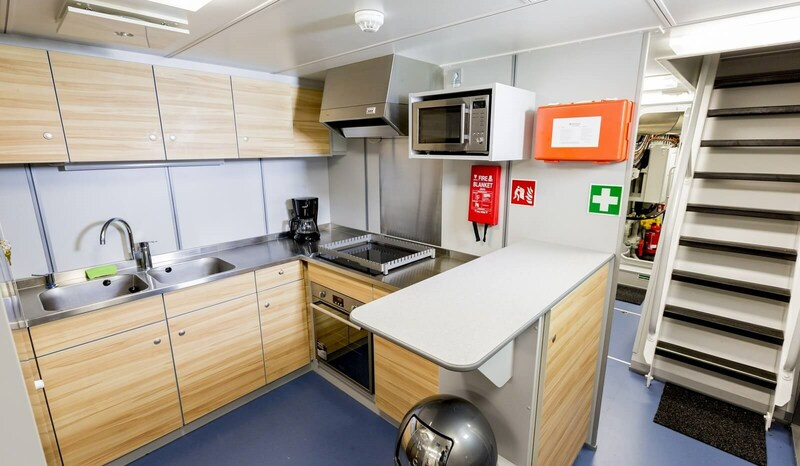 The huge clutter-free aft deck can be fitted with all equipment necessary for patrol tasks, e.g. daugther craft - from RIBs to Interceptors. Besides, ballistic protected safe zones can be created in the superstructure. The Sea Axe design offers unprecedented seakeeping characteristics. Besides, this very slender hull shape is very fuel efficient. Our training programmes are designed to give our customers skilled, motivated and committed employees. This approach delivers long-term benefits and assists customers in reaching important goals including reduced operational costs and improved vessel uptime. Damen Services offers a range of total training packages for staff development. 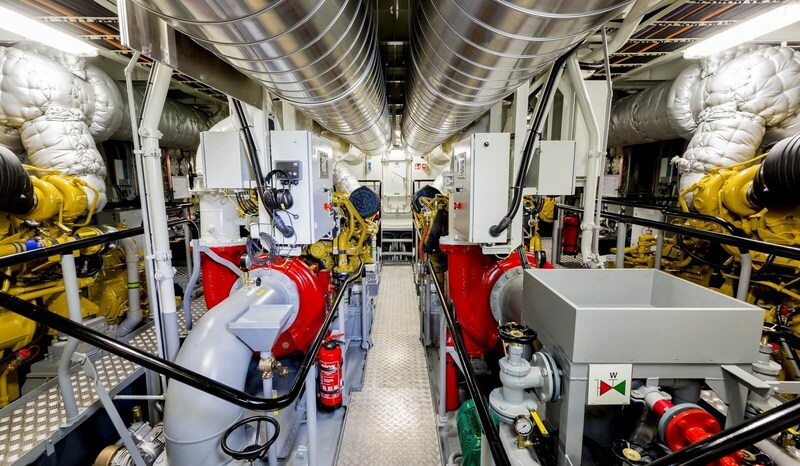 Damen ensures that all shipboard equipment is correctly installed and functioning. All new build and overhauled ships undergo an intense period of commissioning and trials prior to delivery. This results in a market-leading level of product quality and maximum uptime, and is coupled with professional advice on operating the vessel. We make sure your vessel is fully prepared and ready for operation. - Knowledge and experience from Damen's worldwide network. Over the past 40 years Damen Services has rebuilt, converted and repaired many Damen and non-Damen vessels. With our experience, we are able to provide professional advice while ensuring that the customer’s wishes and budget are taken into account. Quality is assured because Damen standards are maintained throughout the entire project. This programme provides a combination of services for customers looking for both autonomy and cost optimisation. With this, Damen delivers maintenance to a customer's requirements while at the same time training their crew. The competence of the customer's employees rises, leading to a reduction in the number of hours spent on maintenance. 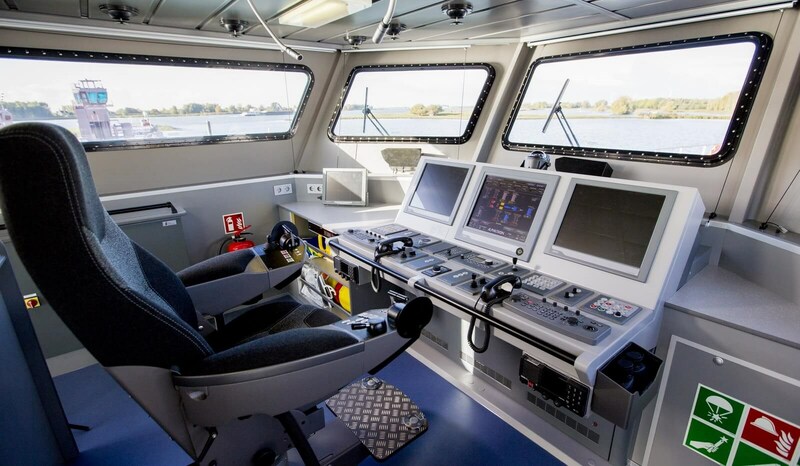 Since the eighties, Damen and Delft University of Technology have cooperated on a research programme aimed at improving the seakeeping characteristics of high speed vessels. This cooperation produced the "Enlarged Ship Concept" on which the highly successful Stan Patrol 4207 and 4708 are based. The development of the ‘Axe Bow Concept’ followed; a hull shape with unparalleled seakeeping characteristics. Using this design innovation, Damen developed the ‘Sea Axe’ Patrol Boats and Fast Crew Suppliers. A study was carried out to evaluate the influence of different ship components on the airflow around a ship's superstructure. By means of CFD simulations and validation by wind tunnel experiments, working conditions were determined at different wind speeds and sailing speeds, combined with different wind angles and ship headings. By using Finite Element Analysis, the actual behaviour of a ship’s structure can be simulated. Undesired effects can be found and corrected.